Fit for Audi TT/TTS with Chorus ii+/Concert ii+/Symphony ii+/BNS 5.0/RNS-E head unit. NOT FIT FOR Audi TT/TTS with Single FM/CD unit(Chorus i/Concert i/Chorus ii/Concert ii). 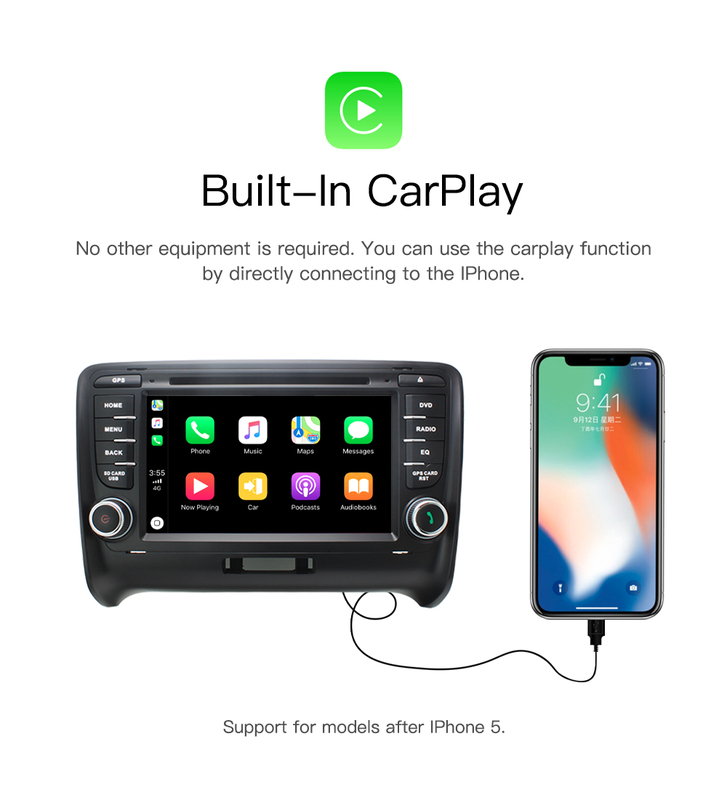 The Head unit is smarter, faster, and more powerful operating system Android 8.0. With the on-board Octa-Core processor and its 32GB ROM memory and 2G RAM, It achieves ultra-fast running speeds with a smooth and efficient multi-task processing ability, satisfying even the most tech savvy users. 6 What's in the package?